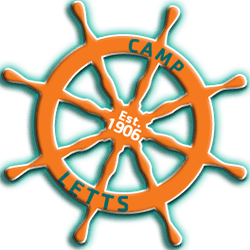 YMCA Camp Letts, the 106 year old Summer Camp which is part of the YMCA of metro Washington, recognized multiple local residents and organizations last week at its Annual Year End Celebration dinner. Each year, special recognition is given to local businesses, volunteers, and employees for outstanding contributions and achievements throughout the year. The recognition dinner was provided by Killarney House Restaurant of Davidsonville, Maryland, the event was held at YMCA Camp Letts. Golden “Y” Award Winners- Michelle Eichhorn, Sherry Cormier, Stan & Joe’s Saloon, Gloria Brown, Trevor Dalton and Dan Randall. YMCA Camp Letts is entering its 107th summer in 2013 as a premier east coast summer camp, and sits nestled on 219 acres on the Rhode River in Edgewater, Maryland. The facility is a year around Executive Retreat Center and hosts groups and events of all types with 25,000 unique visitors annually. The camp can host school, church, private and corporate groups for events from retreats to leadership seminars to family reunions and weddings. There are programs available in equestrian, waterfront (sailing, canoeing, sea kayaking), high & low ropes, paint ball, and archery among others. There is a full service dining facility available with menus to please any palate and accommodations for up to 300.